The towns of Warwick, Leamington and Kenilworth and their surrounding villages are considered the 11th best places to live in Britain, according to a study by a major bank. Health, wealth, education, crime statistics and even the number of hours of sunshine all play a part in the annual Halifax Quality of Life Survey. And this year Warwick district made a huge leap up the ladder from 42nd most desirable place to live last Christmas to 11th this year. Stratford was rated 22nd in the survey, with Rugby district at 35th. The Hampshire district of Hart, centred round the town of Fleet, 37 miles south-west of London, has topped the survey for the third year running. The area, which has open spaces of heathland, woodland and the country’s largest freshwater lake, has high employment, high life expectancy and 97.4 per cent of its residents say they are in good health. Men living in Hart can expect an average life expectancy of 83, compared with 80 in Warwick. Having said that, 95.9 per cent of those questioned in Warwick, Leamington and Kenilworth reported they were in good health and their levels of happiness equalled those of Hart at 7.6 out of ten. Warwick also had a lower anxiety level at 1.9, compared with 2.6 in Hart. 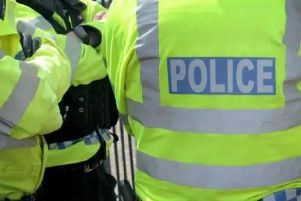 Crime rates for the three towns and surrounding villages were listed at 37.8 per cent, compared with just 16.6 per cent in Hart on which the sun shines for 32.5 hours per week, compared with 29.9 in Warwick. But the bonus for our district is its schools. At GCSE, 86.5 per cent of Warwick district teenagers got five GCSE levels at A to C, compared with just 79 per cent in Hart. The figures are collated from data supplied by Government bodies like the National Office for Statistics and the Met office.